Oh, and despite spending nearly 20 years working in professional motorsports, it took me over a dozen Mario Kart 8 on the 8th Tournaments to realize it’s a clockwise oval, the opposite direction of our racing ovals. The original version of Toad’s Turnpike was a personal favorite. Weaving around giant, oblivious traffic always seemed to keep the race competitive, especially at 150ccs. You had to be a lot more judicious with your red shells too, as they couldn’t travel too far forward without plinking harmlessly off a semi. And of course, nothing in life compares to the perverse joy of knocking your opponent out with a shell, watching them recover, then immediately get run over. It has that ridiculously huge jump. My favorite tactic was to hang back in seventh or eighth place for the first lap until I got a lightning bolt, then I would race my way back up to the front of the pack during the second lap, and on the third lap I would shrink all my friends right as we were about to go over the jump. It basically ensured a first place for me and zero points for all of them (as the laggard computer drivers would cruise past them as they fell into the drink). 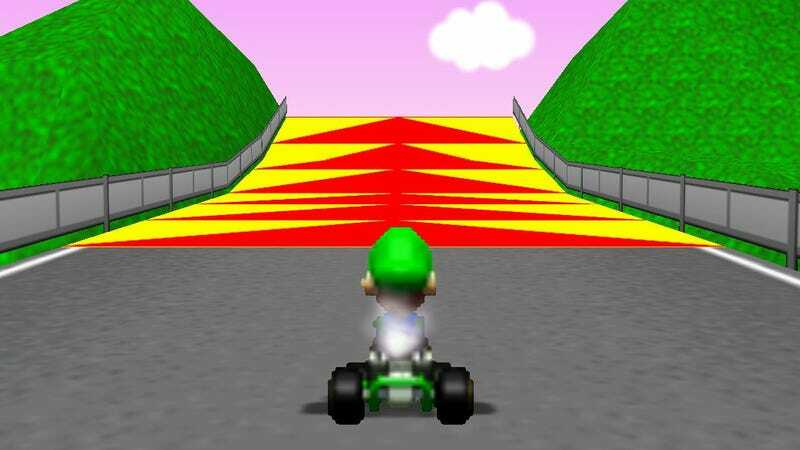 I always appreciated the points lead, since the next track was Bowser’s Castle, probably my least favorite course of all time (could never quite handle the 90-degree turns without hitting the wall). Well said on all counts, as always, especially about the absence of judgment over one choice or another. This game is an endless series of observations and self examinations on the nature of existence, from the weapon histories to the background glossaries and dossiers to the player customizable death messages to the plethora of NPC sidequests and, of course, the multitude of endings. If the game tried to push you toward one thought and feeling over another, instead of just showing its characters and its eccentric tale of Wall-E meets Deadly Premonition, the Jenga tower of its vibrant tone and themes would collapse. This game is all about those mini-narratives playing out in parallel to one another. All these stories, all those memories getting lost, re-installed, faded, manufactured, and newly created in this tumultuous twilight period of existence. So there I was, close to tears and several emotions I have a hard time naming with the credits destroyed and hope (such as it is) restored. Then I get this message asking if I want to sacrifice my save file. After thinking on it for far longer than I think I’ve ever done on any Yes/No question in a game, I finally decide to give my save up for the good of everyone else. So I press Yes. And nothing happens. I press Yes again. And nothing happens again. Sitting there for another maybe 30 seconds, seeing if maybe something is just not taking or if its timing out or something, I finally decide that maybe this is another message from the game? Were those really others that sacrificed themselves to help me? How could they be if you can’t affirm your own sacrifice? Or maybe it’s just a stupid bug and I’m over-thinking things? All I know is that I now have to hit No with the knowledge that I’ll probably never finish the game again. Regardless, I hit No. Back to the Main Menu. After contemplating for a bit longer, I quit the game and notice that I have no internet connection. Sometime between choosing Yes to accept help and making that fateful choice, my internet went down. Now, I know that my experience was totally unintended, but man if it doesn’t feel like I was randomly selected to get that one extra knife stab/twist during the ending than everyone else got. Strange thing is? I think the ending was almost better for it. That’ll do it for this week, friends. As always, thank you for reading and commenting. We’ll see you all again next week!